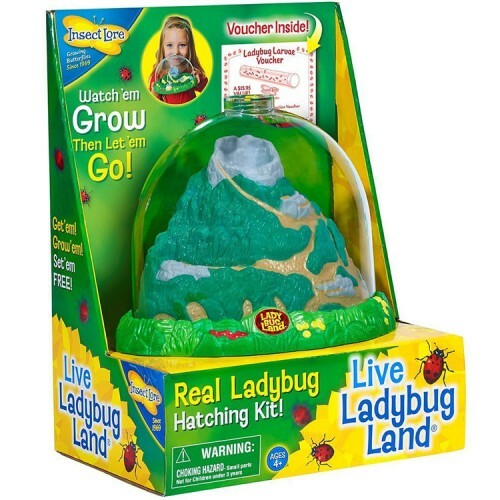 With this ladybug growing kit, and within two weeks, you'll begin to see grown ladybugs develop right before your very eyes! 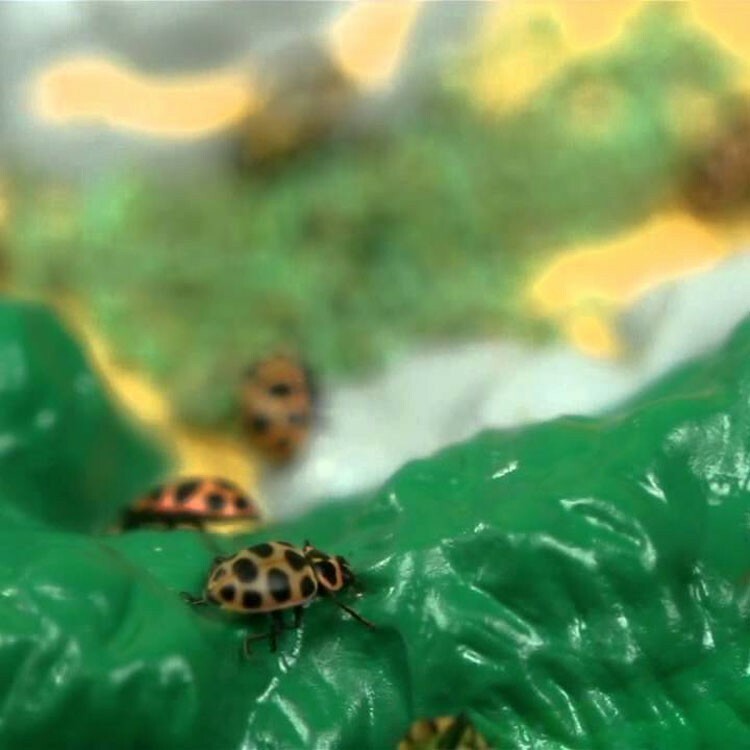 How many dots does a pink ladybug have? 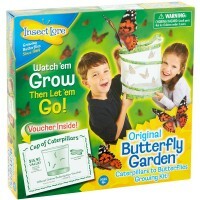 How fast do they grow from the larvae? 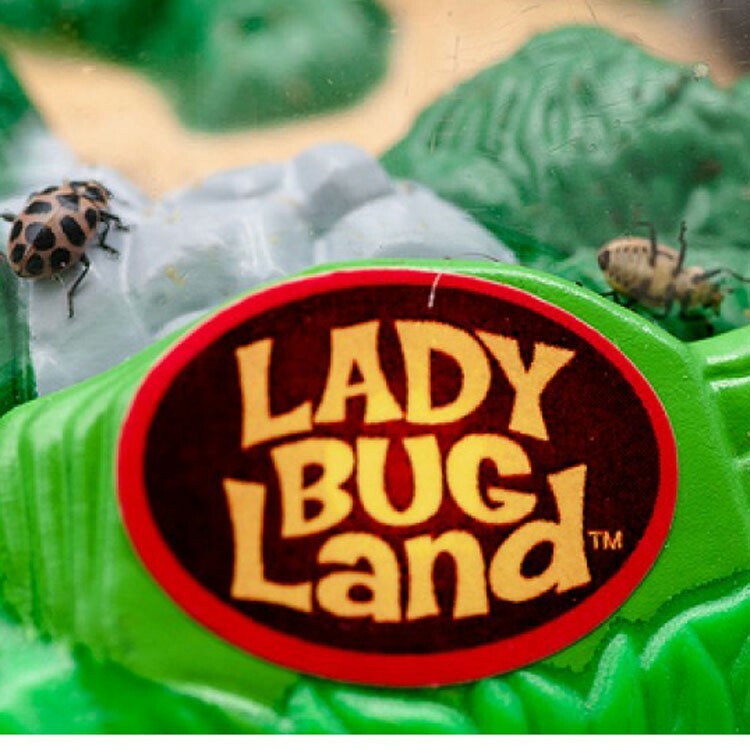 Find the answers to these and other entomological questions through the use of the Ladybug Land Ladybug Habitat by Insect Lore. 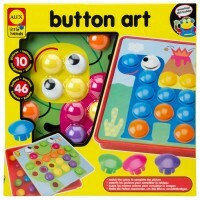 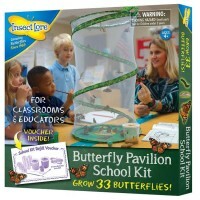 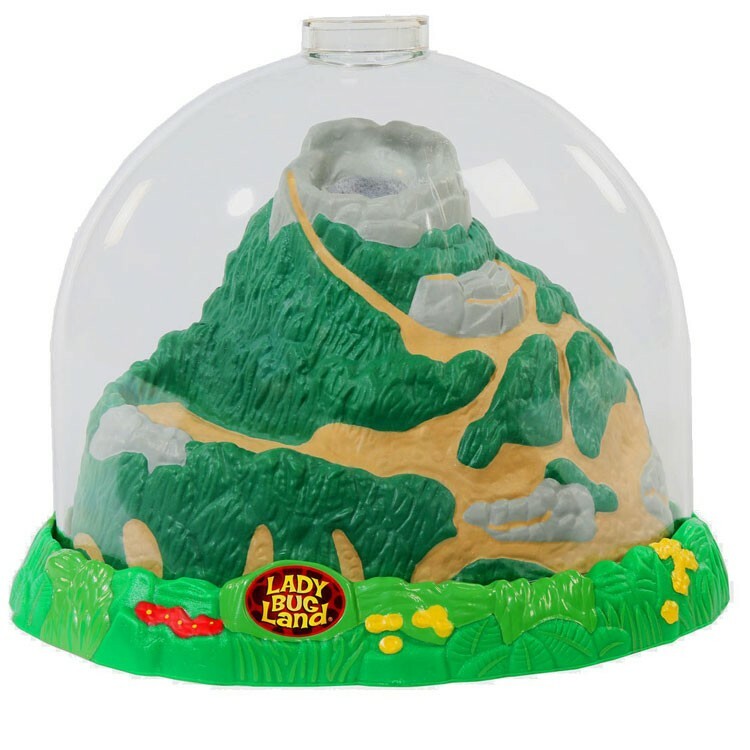 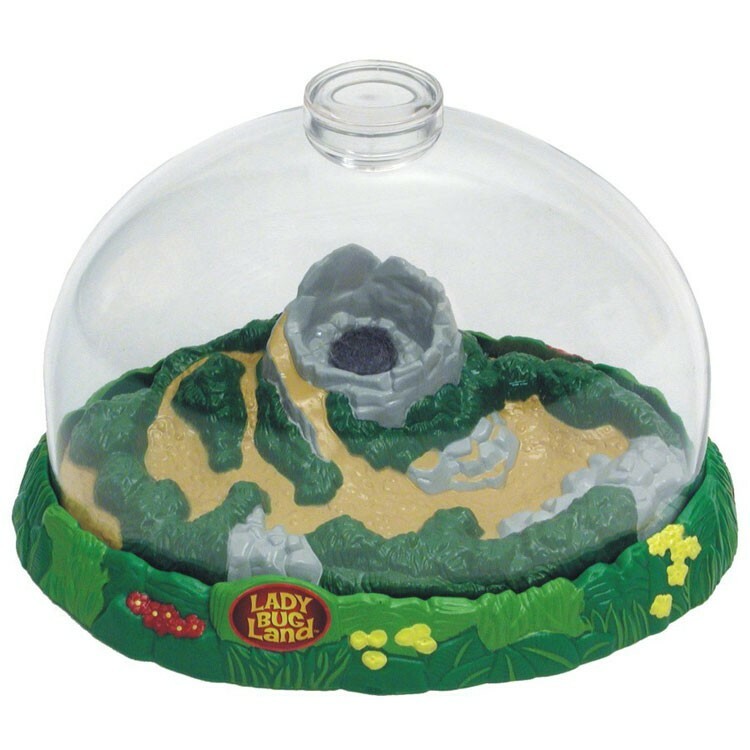 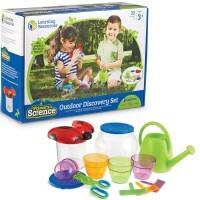 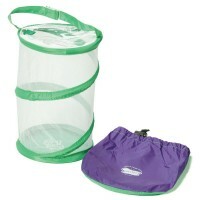 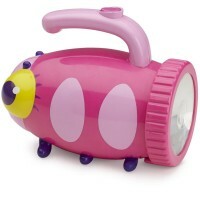 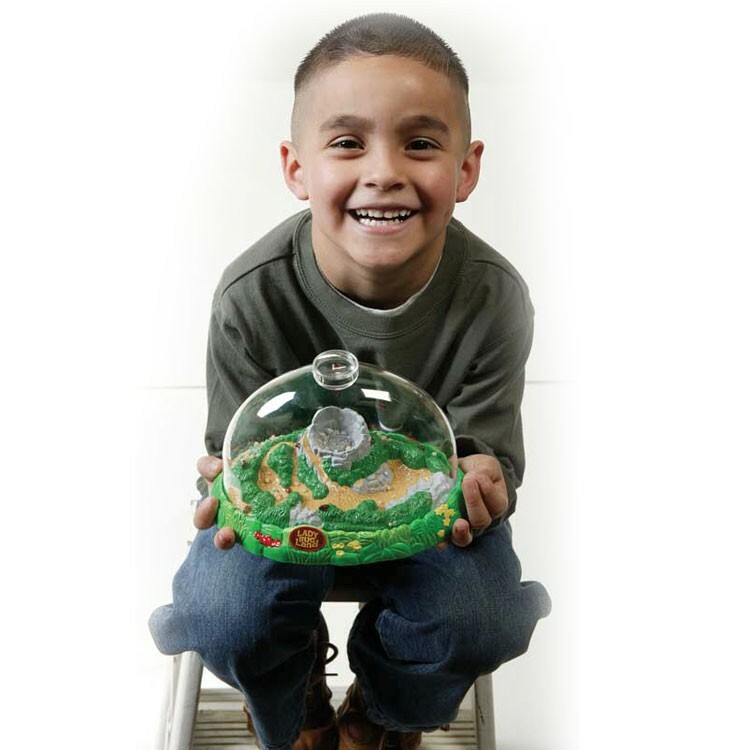 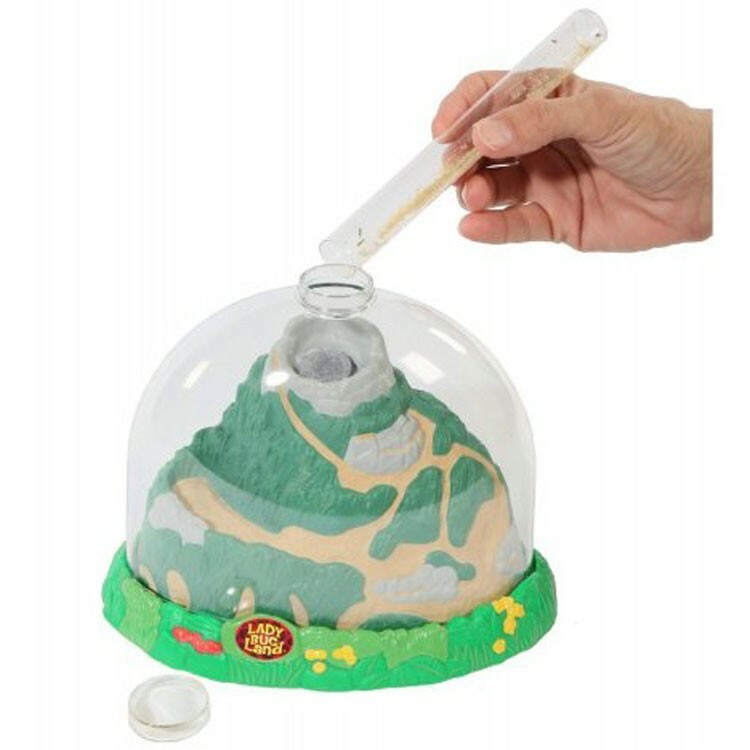 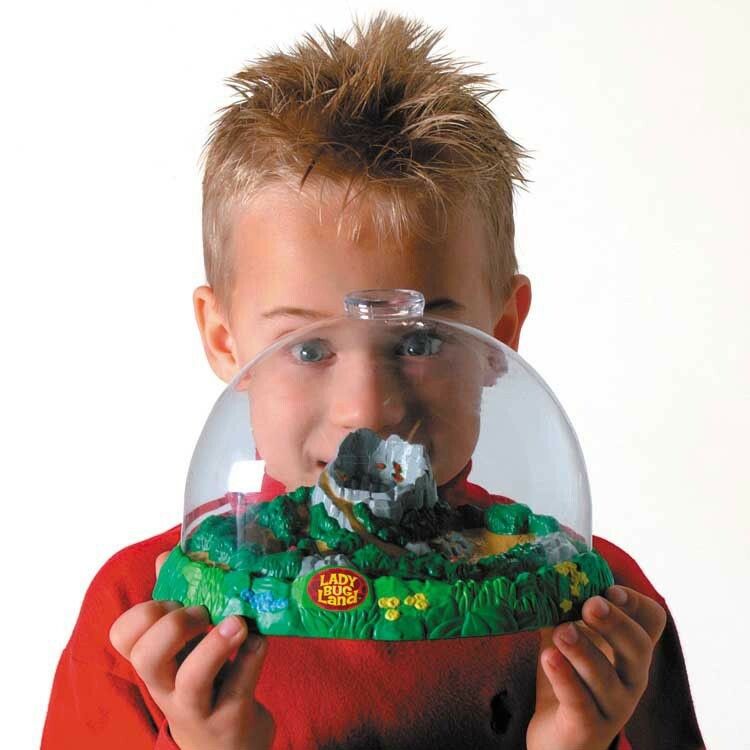 This ladybug development kit from Educational Toys Planet comes with a clear, sturdy see-through dome habitat, through which all the action is visible, as well as a quality magnifier dome cap. Every ladybug growing kit includes a coupon for 20 live ladybug larvae that will be mailed to you with all necessary ladybug food and instructions. 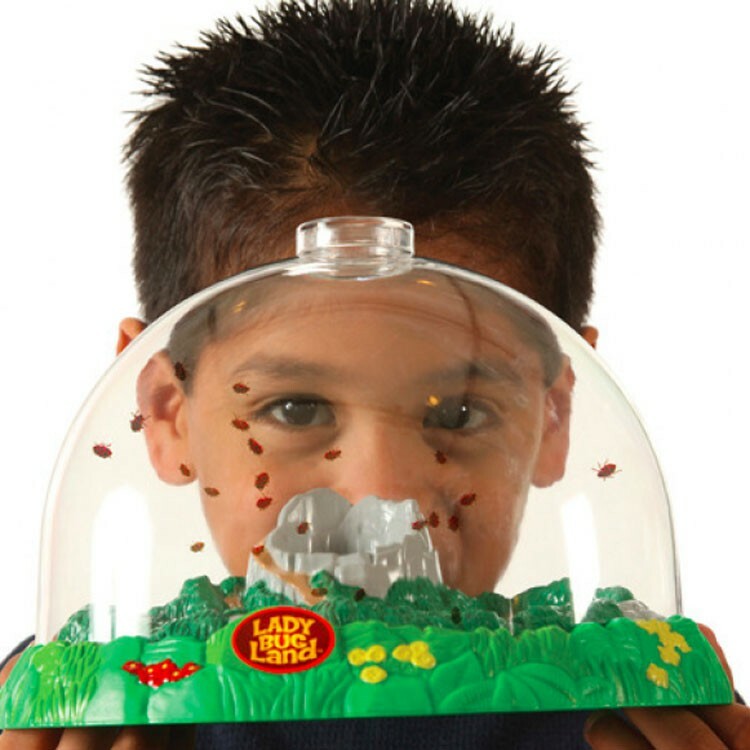 With this ladybug growing kit, and within two weeks, you'll begin to see grown ladybugs develop right before your very eyes! 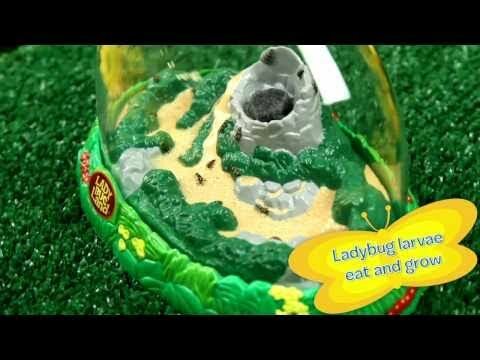 Both entertaining and educational, watch as this kids ladybug habitat causes your school-age child's comprehensive, observation, biology, and patience skill skyrocket! 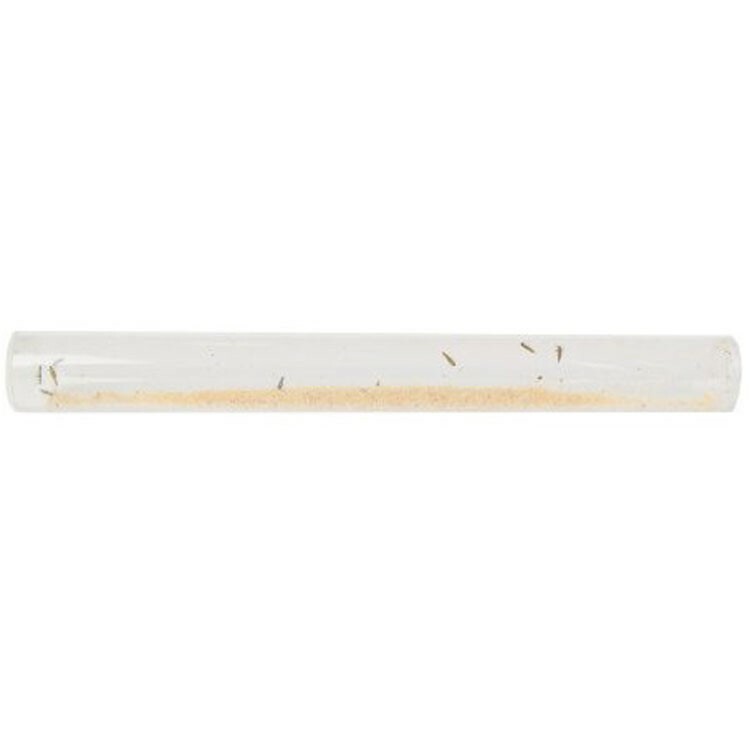 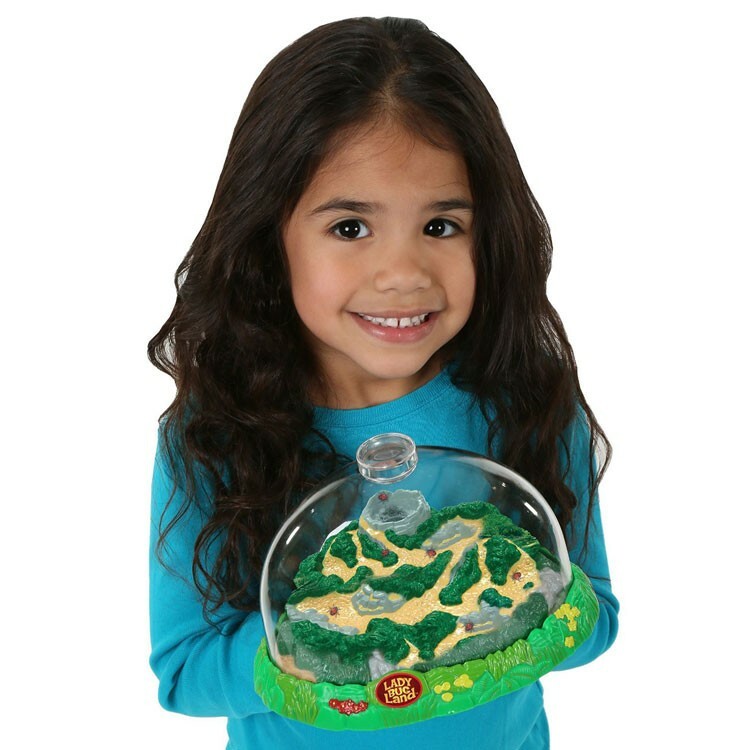 Perfect for the both a home environment, or a classroom, children will love watching the different stages of ladybug development, occurring right in front of them! 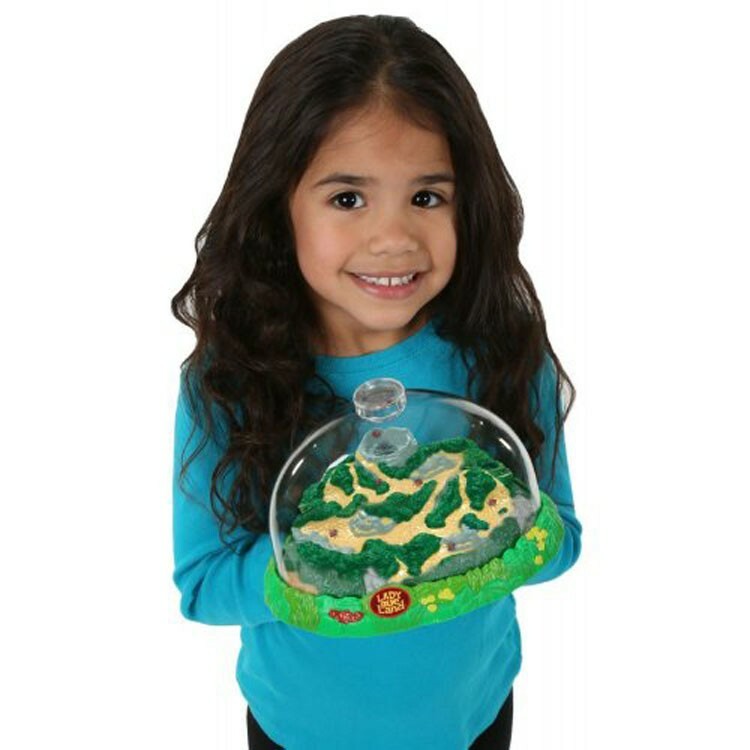 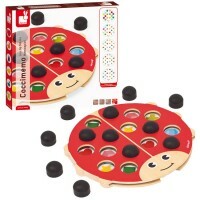 Ladybug habitat biology toy is a great idea to present for your next school science fair, or birthday gift for a young nature loving child. 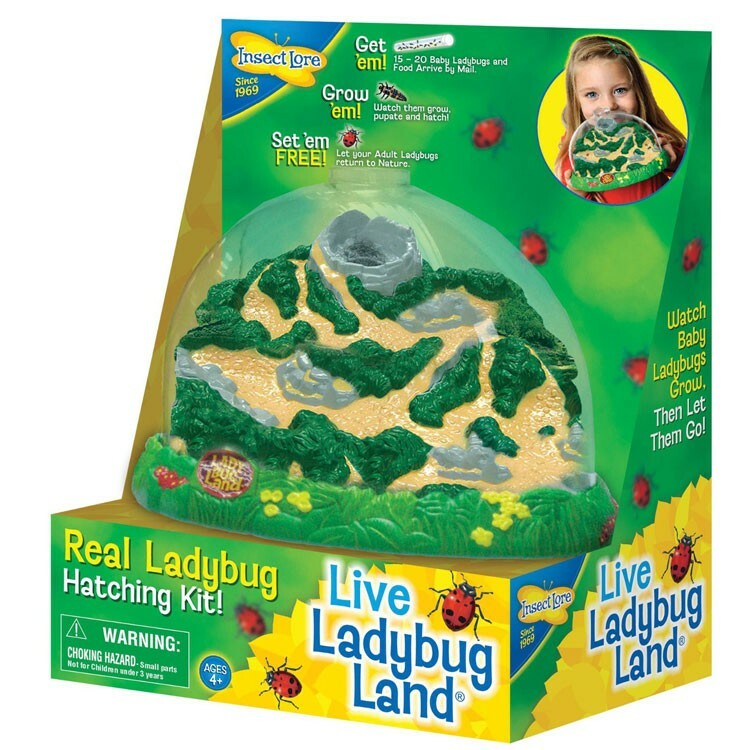 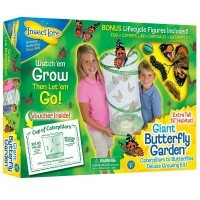 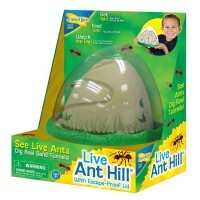 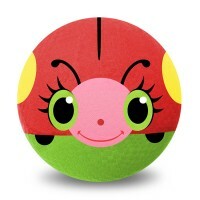 Dimensions of package 7.25" x 9.5" x 8.25"
Write your own review of Ladybug Land Ladybug Habitat.